The credit rating provides an opinion on the short-term credit-worthiness and medium-term viability of regulated financial service providers in Ecuador – where MFR is licensed by the Superintendence of Banks (SB) and by the Superintendence of Solidarity-Based Economy (SEPS) – and in Bolivia – where MFR is licensed by the Supervisory Authority of the Financial System (ASFI). 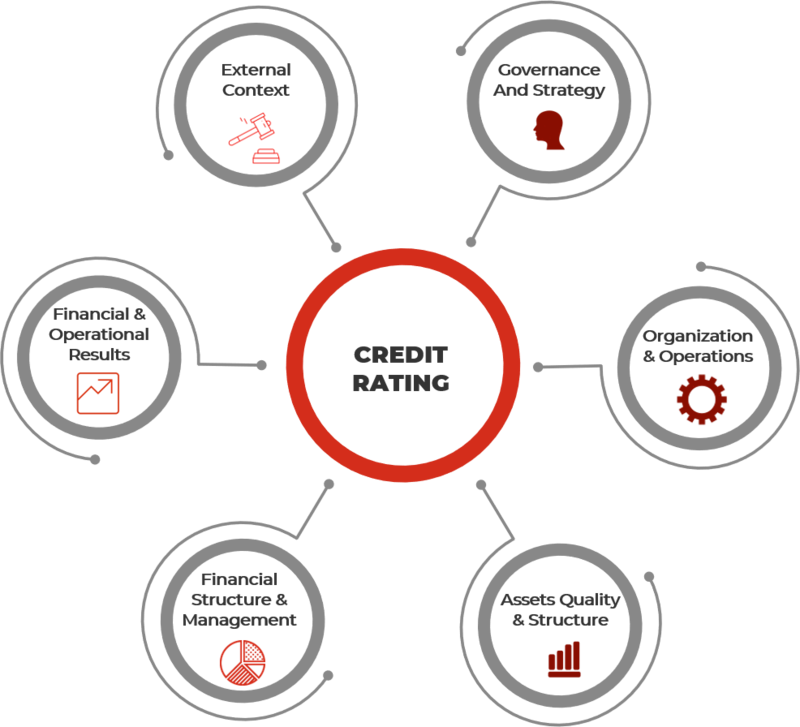 The credit rating provides a comprehensive assessment of risks and performance through a dynamic qualitative and quantitative analysis of the following areas. The rating is updated on a quarterly basis.